Patients are like virus factories producing up to a hundred million virus particles per milliliter of blood, and a patient is unpredictable; a patient could cough, could spit at you, vomit on you, or even become aggressive and attack you. So these people really have the highest risk and have the highest burden. Feldmann confesses that the place at which he felt the least safe was the airport, calling it the place of “highest risk.” For example, screening occurs in areas confined enough that those being screened are likely to come into contact with the virus should an Ebola patient be among them. Furthermore, screeners are so poorly trained that they often cannot even properly measure temperature. In the weeks subsequent to the interview with Feldmann, a Liberian citizen from Monrovia, Thomas Eric Duncan, arrived in Texas having contracted Ebola. 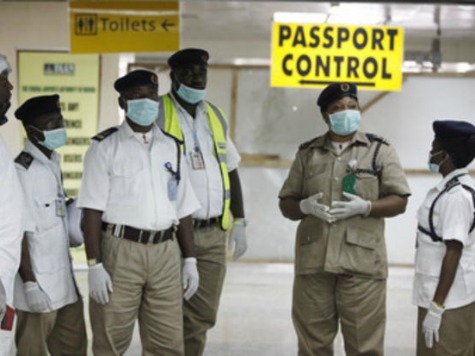 Duncan, who touched an Ebola victim while trying to help her take a taxi to the hospital, claimed on airport screening forms that he had not come into contact with anyone appearing to have Ebola symptoms, something for which the government of Liberia has vowed to prosecute Duncan. In announcing plans to prosecute, officials admitted the screenings were largely an honor system in which passengers were expected to be forthright on their documents.